Recurrent major depressive disorder (MDD) in men and use of antidepressants are associated with lower bone mineral density (BMD), a new study has shown. In particular, the association with antidepressants was dependent on the person's weight and site of bone measurement but researchers from the University of Eastern Finland say both links should be factored as potential risk factors for future osteoporosis. 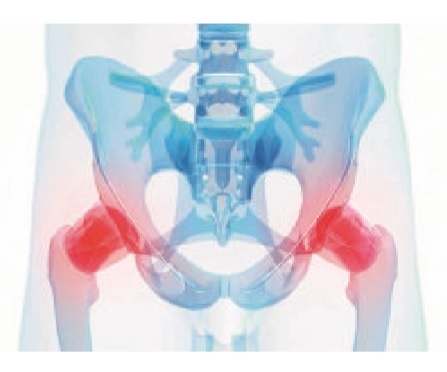 Osteoporosis is a common disorder and an underlying factor in fragility fractures. Other than the menopause in women, known risk factors include low levels of physical activity, smoking, low intake of calcium and vitamin D, as well as some medications and diseases. In older people, susceptibility to fracture and serious hip fractures can result in long-term hospitalisation and decreased state of health. Previous studies have also shown that depression is associated with lower bone density. This might be due to the effects of depression-induced long-term stress and increased secretion of inflammatory markers. Furthermore, selective serotonin reuptake inhibitors used to treat depression have been shown to weaken bone health. However, the majority of studies had focused on postmenopausal women. The new study by PhD researcher Päivi Rauma and colleagues analysed the association of single and recurrent MDD episodes and the use of antidepressants with bone density in men. The study analysed data from Australia's Geelong Osteoporosis Study, GOS. Between 2006 and 2011, 928 men (aged 24-98 years) completed a comprehensive questionnaire and had BMD assessments at the forearm, spine, total hip and total body. MDD was identified using a structured clinical interview. Multivariate model was adjusted for lifestyle, medications and other confounding factors. Recurrent MDD was associated with lower BMD at the forearm and total body (-6.5% and -2.5%, respectively compared to men with no history of MDD), while single MDD episodes were associated with higher BMD at the total hip (+3.4%). Antidepressant use was associated with lower BMD only in lower-weight men and varied across the bone sites. For example, the use of antidepressants was associated with reduced bone density in the hip in men weighing less than 110 kgs. In the forearm, however, the association of anti-depressants with reduced bone density was not observed in men until their body weight was under 75 kgs. Recurrent major depression may increase the risk of osteoporosis in men, according to the study. Furthermore, the researchers conclude, use of antidepressants should be taken into account as a potential risk factor of osteoporosis especially in men with a low body weight.